Though well- known for its security, iCloud makes big problem sometimes when it comes to unlocking an iPhone. Many users may forget the passcode of their iPhone, and they have to recover it by iCloud. But what if you also lost the credentials of your iCloud? You may think to bypass it but have no idea how to do it. It is very frustrating for anyone to start iPhone or iPad without the iCloud login for it will keep asking for your authentication. The security system of iPhone is much upgraded and tightly secured than most Android device. For android device you can go to recovery mode and run a factory reset; But for Apple products it is not easily possible, you have to get hold of enough tech knowledge to bypass the iOS security system. So we will bring you some latest user-friendly ways to bypass the iCloud activation. Here, we will list top 4 best and latest iCloud bypass tools of 2018 with pros and cons. Hold your breath and scroll down to read on how to bypass your iCloud activation and unlock your apple device. The first one comes in our list is iCloudin. This app deserves the first position because it supports almost all kind of Apple devices and it’s very much user friendly with a minimalist UI that lets users to bypass the iCloud easily. 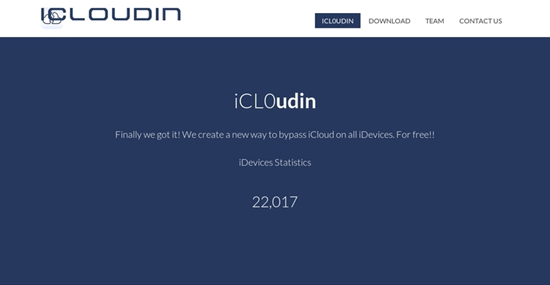 If you don’t know how to use iCloudin, there is a bunch of free tutorials on their website. This tool support the popular iOS versions from iOS 9 to the latest iOS 11.
iCloudin works on almost all iOS devices including iPhone 4, 4S, 5, 5 c, 5S, 6, 6+, 8, X, iPad. iCloudin is very easy to use steps by steps, you can get tutorials on their website as well as from YouTube. iCloudin is completely free and easy to use, the UI is also very user-friendly. The website of iCloudin looks a little messy and it may take time to get used to. when it comes to Security bypass, it is risky to go on without proper feedback or rating from the existing users. And it is not much rated by its existing users. Although the UI is quite userfriendly and there are bunch of tutorials, iCloudin is little bit hot-potch, you may face difficulties while using it. Install the software on your computer and connect your iOS device. Start the program and it will detect your connected device. Click “Start” and choose the model of your iDevice, then click “Next”. The program will scan your device and then begin to bypass your iCloud activation lock. Note that the entire process takes about 20-30 minutes, and once it is completed, your device will restart. The next one comes in our list is Doulci iCloud Unlocking Tool. It allows you to bypass the iCloud on your very own iCloud server. It is user friendly and very easy to use. Doulci iCloud Unlocking Tool supports all iPhone, iPad and iPad touch models, as well as all iOS version including the latest iOS 11. Doulci iCloud Unlocking Tool is free to us, you can get your iCloud unlocked without spending any penny. This tool is compatible with all iOS devices, especially for the previous models of iPhone. There are a range of tutorials for you to follow if you are unfamiliar with the tool. In order to download this tool, you must fill out a survey which would be very annoying. There are too many websites with the same name if you search for it, so make sure what you download is the official version. You can download it with TrialPay and access the free service. Once you finish downloading, unzip the files at a location on your PC, and find the file named ‘download doulci iCloud unlock tool’. When it comes to installation on a web server. You need to install the script on a local server and then edit your hosts file accordingly. Connect your iPhone, iPad or to iTunes iPod via USB cable to the PC to start the process. It will take few moments to make it happen. After process finished, exit the tool and disconnect your device from it. 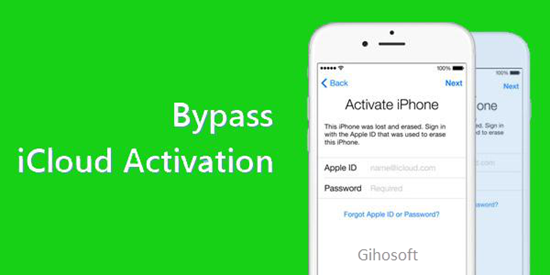 If you are planning to use ‘Remove iCloud Activation Lock Tool’, you will be able to bypass iCloud with ease. It’s a efficient online tool used to be free. You just need to offer the serial number/IMEI of your device to unlock, and you can also have it permanently removed from previous iCloud account. This tool supports all iOS versions and most iOS devices including iPad, iPod Touch, Apple Watch and iPhone newer than iPhone 5. It is a professional working tool that is run by professionals so you do not have to worry about. The service has a great reputation among those who have used it before. You have to pay for the service. Prices start from $ 26 and depend on the amount you pay on your device. It may not support older iPhone models like iPhone 4S. Next in our list, we have the Open My iCloud tool, another popular option for removing an iCloud activation lock. This program is very simple to use and is very effective too. Anyone with basic knowledge can go with this tool. It is much accurate, easy and quick at removing an iCloud activation lock. The website of this tool is simple and clean. 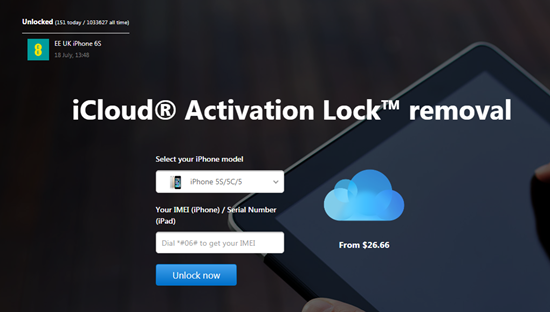 This particular software allows you to unlock the iCloud activation lock using your iPhone’s IMEI code. You have to download and install the program on your computer. This tool only support iPhone models from iPhone 4 to iPhone 6 Plus. If you accidentally lost important data like messages or contacts on iPhone, you can use Jihosoft iPhone Data Recovery to extract messages or contacts only from iCloud backup, or directly recover data from iPhone without backup.